Welcome to Equihealth.com! Your veterinary professional invites you to access and use this web site as a value-added service to provide companion-pet owners with a suite of communications and education tools, including electronic medical records, health articles and videos, breed information, virtual anatomy presentations and related functionality. Principles of Veterinary Medical Ethics of the American Veterinary Medical Association (AVMA). Your veterinary professional must invite you to access and use Equihealth.com. You will be asked to provide a valid email address and to create a password upon first accessing the site. You will then receive an email that guides you through the remainder of the registration process. Your companion-pet's medical record on file with your veterinary professional. We may collect information about your companion-pet(s) when you or your veterinary professional updates your pet's medical record, initiates a prescription refill or an appointment, adds or modifies dosage alerts, or when you complete an online survey. We may collect information about you when you make changes to your profile on Equihealth.com. A. Provision of Username and Password We assign you a username, and you create a password to access Equihealth.com. We strongly encourage you to choose a password that only you know and that would be extremely difficult for others to guess (such as using combinations of letters, numbers and special characters). You may change your password at any time. D. Site Usage We may collect information related to the tools and built-in applications you use on Equihealth.com in order to assess the effectiveness of the site as a value-added resource for our users. For example, we may collect information regarding the videos you watch and the articles you read on the site. One type of cookie, known as a "persistent" cookie, is set once a user logs into an online account. Equihealth.com does not use persistent cookies. Another type of cookie, called a "session" cookie, is used to identify a particular visit to the Equihealth.com. Session cookies used by Equihealth.com expire after you close your Web browser. F. Site Logging When you visit Equihealth.com, we collect the IP ("internet protocol") address connected to your computer (or the proxy server you use to access the World Wide Web) and information regarding the following: your computer operating system, the type of Web browser you are using, mobile device operating system (if you are accessing Equihealth.com using a mobile device), and the name of your ISP ("internet service provider") or your mobile carrier. We use this information to analyze overall trends to help improve the site. G. Location of Data Information collected on Equihealth.com is stored and processed exclusively in the United States. B. Site Operation and Service Delivery Equihealth.com uses your information to operate the site and deliver the services or facilitate the transactions you request. For instance, we may use your information to provide effective customer service, make the site easier to use, perform research and analysis aimed at improving our products, services and technologies, and to display content customized to your interests and preferences. C. Our Communications to You We may communicate with you through your primary email address (noted in your profile) and via conspicuous notices posted on Equihealth.com or through other means, as applicable. 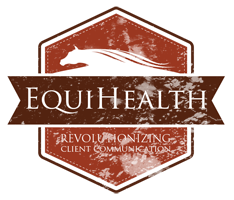 We may send you communications that help inform you about Equihealth.com features, and we may also send you service messages relating to the functioning of the site. Please be aware that you cannot opt-out of receiving service messages from us while using Equihealth.com. Additionally, if we send communications to you via the carrier service with which you have a mobile communications subscription or otherwise have access, you understand you will pay any service fees associated with your receipt of messages on your mobile device (including text messaging charges). We may provide aggregated anonymous data about the usage of the site to third parties, such as our web hosting and design partners, for purposes that we deem, in our sole discretion, to be appropriate. Exercise or protect the rights, property or personal safety of Patterson Veterinary Supply, Inc., our users, employees, agents, or others. You can close your Equihealth.com account by contacting your veterinary professional and requesting that your account be closed. If you close your Equihealth.com account, your companion-pet(s) medical record(s) and your personal information will be removed from Equihealth.com, but this information will not be removed from your veterinary professional's in-office medical record. If you close your account, Equihealth.com has no obligation to retain your information, and may delete any or all of your account information without liability. We may retain certain data contributed by you if we believe it may be necessary to prevent fraud or future abuse, or for legitimate business purposes, such as analysis of aggregated data, or if required by law. Children may access Equihealth.com only with permission from their parent or legal guardian. By you using our Service after we provide a notice of changes, you consent to the changed terms or practices. In order to help secure your personal information, access to your data on Equihealth.com is password-protected and the site utilizes 128-bit SSL ("secure sockets layer") encryption to reduce the risk that others are able to view information passing between our web servers and your browser. We implement administrative, technical and physical safeguards to protect the content you post on our servers. However, since the Internet is not a completely secure environment, we cannot ensure or warrant the security of any information you transmit to us. There are no guarantees that information cannot or will not be accessed, disclosed, altered, or destroyed by breach of any of our administrative, technical or physical controls. It is your responsibility to protect the security of your login information (your username and password).